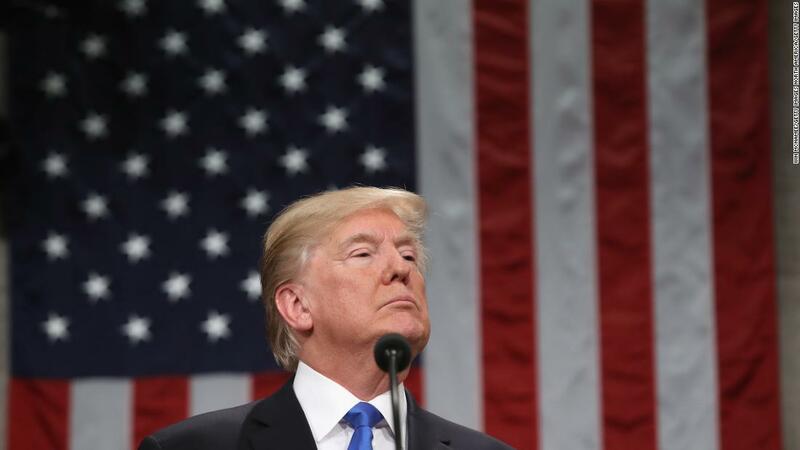 (CNN) President Donald Trump delivered his State of the Union address Tuesday night, a speech that was, in equal measure, surprisingly bipartisan and deeply divisive — reflective of the deep contradictions that sit at the heart of his presidency. It was vintage Trump — in all its incongruity, unpredictability, exaggeration and occasional moments of surprising grace. He literally turned the “politics of revenge, resistance and retribution” into an art form during the 2016 campaign. To turn suddenly and ask the assembled Congress to put aside nasty rhetoric and name-calling feels a little pot-calling-the-kettle-black-ish. The logic here, while strained, goes like this: If you want economic prosperity, you can’t investigate the President. One doesn’t work with the other. He was repeatedly interrupted by cheers as the women — almost exclusively Democrats — slapped five and hugged to celebrate their momentous accomplishment. “You weren’t supposed to do that,” Trump joked. It was a nice moment — for all parties. And a rare one, in both this speech and our broader politics. But he laid the groundwork for why his hand would be forced if and when the time comes. “The lawless state of our southern border is a threat to the safety, security and financial well-being of all Americans,” Trump said at one point. At another, he described the “very dangerous southern border.” At still another he painted a picture of cities in Mexico loading undocumented immigrants in trucks and buses to bring them closer to unsecured parts of the US border. To the extent there was any sort of unifying theme to this speech — and you really have to dig hard for one — it was Trump making the case that the country is under a grave threat from illegal immigration, and that if Congress won’t act, he will. Part of the SOTU is the reactions from the opposition party. And with Trump in the White House and the 2020 Democratic race already in full swing, it was prime season for reaction shots of Democrats deeply disgruntled about Trump’s pronouncements. There was the eye roll from New York Sen. Kirsten Gillibrand (D). The mouth-twisting dismay from California Sen. Kamala Harris (D). Senate Minority Leader Chuck Schumer’s seeming expletive at a Trump claim. 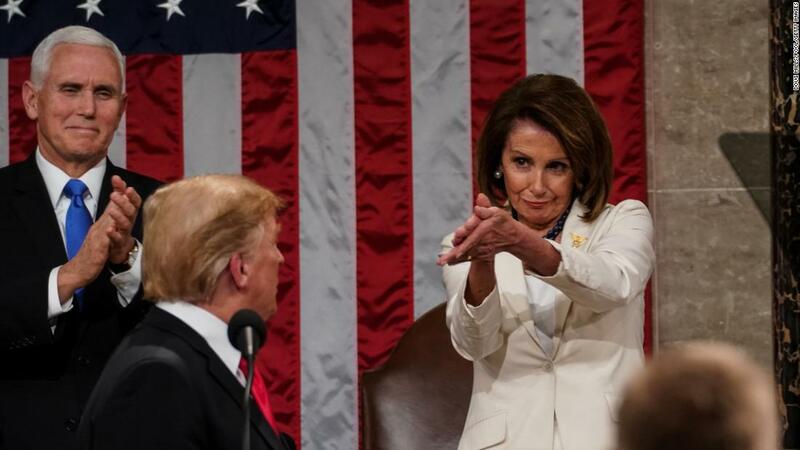 And then there was Speaker Nancy Pelosi’s golf clap for Trump — a slapping of hands together that has already become a meme. For Democrats, these reactions will set off waves of elation. For Republicans, they will be seen as reflections of a party unwilling to ever give the President the benefit of the doubt. For the rest of us, it’s a reminder that a) one speech doesn’t change people’s views and b) the SOTU is one big TV show.